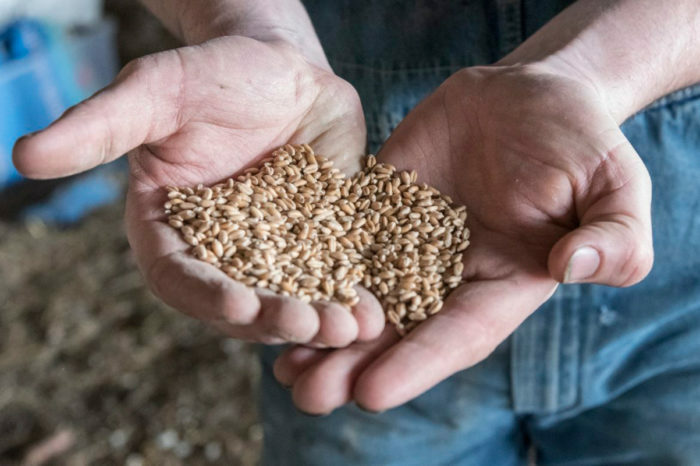 Despite challenges, organic farmers in the U.S. can make two to three times what they might make on a bushel of conventional grain. The volume of imported organic soybeans increased from $41 million in 2011 to $271 million last year. Organic corn imports jumped from about $24 million in 2013 to nearly $122 million in 2017. Greene said increased demand for organic corn and soybeans are fueled by the need for organic livestock and poultry feed. India was the leading exporter of soybeans to the U.S. last year, followed closely by Turkey, the leading exporter of corn to the U.S. Meanwhile, incomes for American farmers have been trending downward. According to the USDA 2018 Farm Sector Income Forecast, net farm incomes are expected to decline to the lowest levels in 12 years. Many row crop farmers are barely breaking even, which makes premiums offered for organic corn and soybeans more appealing. Farmers cannot use any pesticides or synthetic fertilizers on their land for three years before they can receive the green and white label conferred by the USDA that has appeared on an increasing number of food labels. “That’s the big barrier,” Traub said, adding that it’s part of the reason so much organic feed comes from overseas. The organic standards, first established by the 1990 Farm Bill, go beyond using non-GMO seeds and forgoing chemicals. Equipment can only be used on organic crops, which can add significant costs for farmers wanting to grow both conventional and organic. There are financial assistance programs offered for the transition period, including the USDA’s Environmental Quality Incentives Program, but it is capped at $20,000 a year, and some lawmakers say assistance is nowhere near the level of the agency’s other programs for conventional farms, where risk is more controlled. “We need thousands of additional farms to convert,” said Peter Golbitz, CEO of the agricultural consulting firm Agromeris. 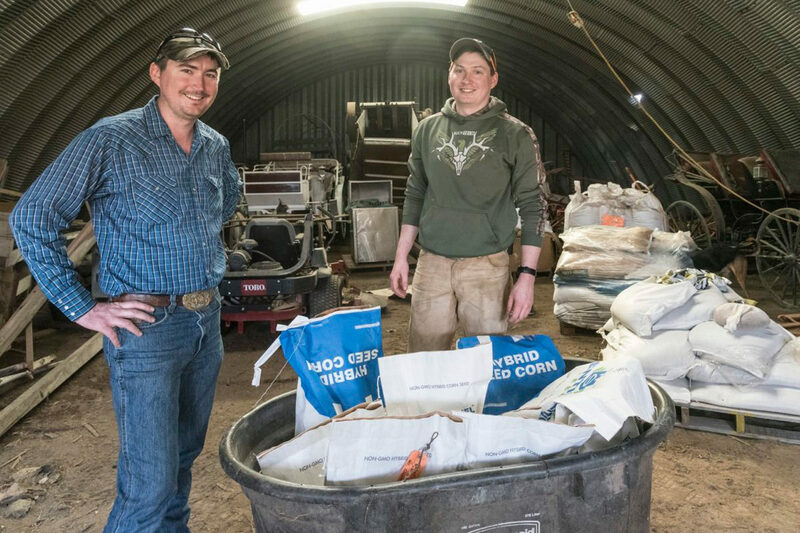 According to Agromeris, imports of organic corn and soybeans for feed have been growing at an average rate of 33 percent over the past five years, outpacing growth of organic feed grains produced by American farmers. Golbitz said during a presentation at the USDA’s Agricultural Outlook Forum in February that skyrocketing imports in recent years have not only created a trade gap, but also raised questions about fraud. He questions whether countries like Turkey and India can produce as much organic product as they are reportedly contributing to the U.S. market. A 2017 audit from the Office of the Inspector General found that controls on organic imports are weak. In some cases, products coming into U.S. ports that were labeled as organic were treated with pesticides upon arrival in the same manner as conventional products. The audit also provided little assurance that the necessary documents required under the National Organic Program were reviewed at ports of entry to verify that foods labeled as organic were from certified farms. The audit came after a Washington Post report from May of last year revealed that nearly 36 million pounds of Ukrainian soybeans en route to California had been fumigated with a pesticide, then relabeled as “organic.” A shipment of Romanian corn underwent a similar relabeling from conventional to organic during its journey to the U.S., the Washington Post investigation found. In order for the U.S. to rely less on imports and help meet growing demand for organic corn and soybeans, American farmers would need to convert approximately 600,000 more acres, according to Golbitz. Tyler Young farms 3,500 acres of conventional corn and soybeans in east-central Illinois. Young has done his research on organic growing options and what transitioning his farm might look like. But he’s not convinced it’s realistic for an operation of his size, even with the enticing price premiums. “Larger operations like ours are adopting some of the things that come out of organic agriculture without going whole hog,” Young said. He plants cover crops, a natural way to promote soil health and prevent runoff. But when it comes to going all-in on organic, Young said weed control and using natural fertilizer would pose big challenges. 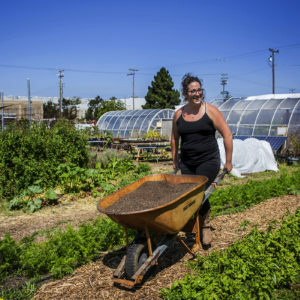 “Other than switching to a vegetable crop, you’re looking at labor bills and hand weeding,” Young said. 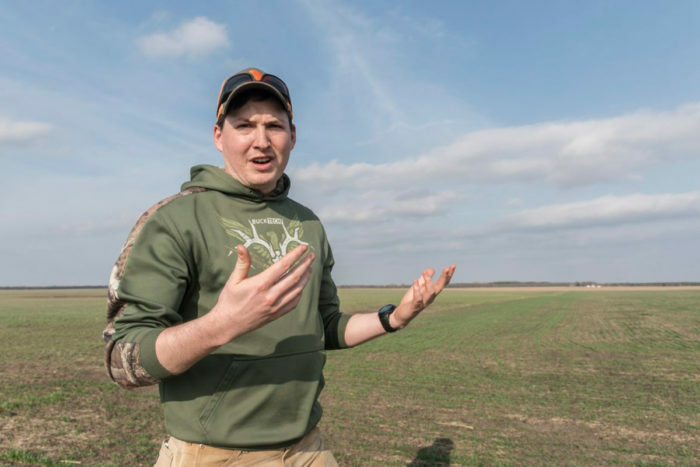 He currently uses five different herbicides to keep weeds under control on his soybeans, something that would be prohibited by organic standards. Young said he would also have to consider bringing cows back into his operation, something his grandfather had as a dairy farmer, to provide a natural fertilizer. The transition to organic on smaller farms, on the other hand, can be more manageable. Dallas Glazik, 24, is a fifth-generation farmer in Ford County, Ill. He said his family was one of the first in the area to become certified organic in 2003. 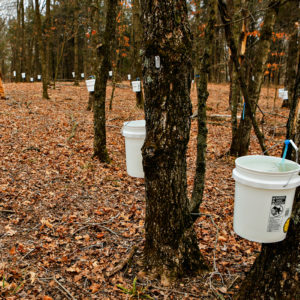 “We transitioned 400 acres when I was in second or third grade,” Glazik recalls. He also remembers walking the soybean rows during the summer, picking weeds on the family’s farm. “But now we have the procedure down a lot better,” Glazik said. It was partly the farm’s size that made the switch to organic easier for the family. Now, they have a five-year rotation of corn, soybeans, small grains (wheat, oats, barley, and rye), as well as pasture. Glazik and his two older brothers have also started a distilling business, making their own whiskey. “We decided to make more money on what we already had instead of buying more land,” Glazik said. While overall yields are lower and the cost of labor higher for organic corn and soybean farmers, USDA surveys have shown that there are higher returns in organic crops. Greene, with the USDA, said corn and soybean farmers also face challenges finding access to markets and access to non-GMO seed. But there is long-term payoff. “In the studies we’ve done, organic production tends to be more profitable,” Greene said. 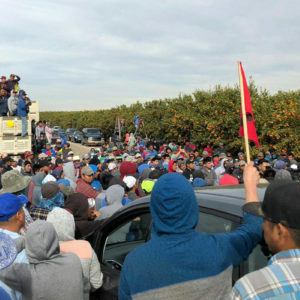 Glazik explained that while the three-year transition period to organic can be less lucrative, it will determine the future success of the farm. He recommended framing the investment in another way. This article was originally published by the Midwest Center for Investigative Reporting, and is reprinted with permission. Anna Casey is the Audience Engagement Fellow at the Midwest Center for Investigative Reporting. The fellowship is sponsored by Illinois Humanities, a private 501(c)(3) state-level affiliate of the National Endowment for the Humanities, with support from the Robert R. McCormick Foundation. The story was inspired by a listening session the Midwest Center hosted in Tuscola, Illinois, where a diverse group of farmers spoke about some of the misconceptions about transitioning from conventional to organic farming. The land on which Pesticide / Insecticide / Fungicide has been applied cannot be used for cultivation of crops. Crops produced from such lands will destruct the body cells of it's consumers ( Human, cattle, animals / birds / insects living on slaughtered cattle or it's discharges ) in a chain system, for many years to come. A beautiful sight, a hand full of organic wheat. Great idea for more organics! However, I feel Hemp is much more needed for food and textiles, etc. Soy is not the healthiest plant as it mimics the estrogen hormone in the body....not so good. Corn is a grain and all grains cause inflammation in the human body, too much glucose as grains are sugar and all grains contain some type of gluten that many people have problems digesting , as more and more people now have gluten sensitivity and diabetes. Although organic is better......I believe it is still contributing to health issues, diabetes and autoimmune diseases. Please check out, Dr. Peter Osborne, the gluten free society....and Dr. Tom O'bryan....the dr.com.